Let me share some thoughts on competitive fishing events or tournaments in this blog post. I have not participated in many fishing tournaments. I have observed quite a few, but have only participated in a couple. I have had some success in the tournaments I have fished, but that was a long time ago and I have not fished in very many tournaments. If I had the time and resources, I would like to fish in more tournaments; the mental approach to competitive fishing fascinates me. There are those who despise fishing tournaments. In my position I occasionally hear from anglers who believe competition should never be a part of fishing; they believe it should always be contemplative, relaxing, and low stress. My reply is that fishing is a participation sport and the beauty is anyone can participate at any level they choose. If you believe “fishing” is a cane pole, a picnic lunch, and a nice relaxing afternoon on a creek bank somewhere, that is great! If you believe “fishing” is a completely tricked-out boat and have invested thousands of dollars to participate in some tournament circuit, that is great too! And shame on the tournament anglers for looking down their noses at the cane pole anglers and vice versa! I believe Isaac Walton himself was known to place a little wager on who could catch the biggest “chub”. If you do any fishing in the age we live in, I will guarantee that you are benefiting from fishing tournaments. There have been many advances in technology, safety, fishing tackle, what we know about fish, fish handling, etc. etc. due at least in part to fishing tournaments and competitive anglers. Those advances will continue. Our attitude as a state agency responsible for our fisheries resources is that tournament anglers are just another group of anglers utilizing our fisheries. As long as there are no conflicts with other users and no harm being done to the resource, tournament anglers have as much right to fish our waters as cane-polers, blue sucker anglers, fly-fishers, 23-year olds, left-handers or any other group of anglers. We have granted no special treatment to tournament anglers nor have we imposed any special regulations on them. Any tournament in Nebraska that charges an entry fee is asked to register with us, but that registration is free and simply allows us to keep tabs on the tournaments in the state to avoid conflicts like having multiple tournaments on the same date. We also ask for a summary of the fish caught and released and harvested in each tournament. I can tell you that the harvest of fish from our waters by tournament anglers is a small percentage of total harvest. Far more fish are harvested by non-tournament anglers because there are a lot more of them and in many cases tournament anglers release the fish they catch. I said all of that to show that I am no tournament-hater. I have defended fishing tournaments to those who do hate them, and I will continue to do so. But the rest of this blog is directed at those who fish tournaments and those who organize tournaments. I know as I continue I am going to “ruffle some feathers”, but I am going to say it anyway. Read on, I warned you . . . Many, but not all tournaments have a “live release” format. That is a format where fish are caught throughout the tournament hours and then brought to the tournament headquarters to be weighed and then released. Those fishing in a live release tournament hold their fish in livewells until the big weigh-in. The weigh-ins are great promotional events; participants and spectators usually get to see a bunch of nice fish, and it generates a bunch of excitement. But . . .
Any tournament with a live release format where the fish are held in livewells for some length of time, maybe hours, will have some fish mortality. I do not care if it is a bass tournament, walleye tournament, catfish tournament or fathead minnow tournament, there will be some mortality due to those fish being held in a livewell for some length of time. I know that boat livewells and technology have advanced tremendously and fish can be kept alive and in good condition in those livewells, but there will still be some mortality. I know, I know, I have heard it dozens of times, “every fish swam away after the weigh-in”, and I do not doubt that a bit. But, there will be a percentage of those fish that perish in the following days and that delayed mortality is part of the tournament mortality. How many fish will die following a live release tournament depends on a host of variables: air temperature, water temperature, weather and water conditions, species of fish, fish handling, fish health prior to being caught, quality of equipment, holding time, fighting time, depth of water, etc., etc., etc. ad infinitum, ad nauseum. The variables and their affect on tournament mortality are too many to list in a hundred blog posts. But, I titled this “Summer Tournaments” so I am going to focus on that time period. As water temperatures increase, fish mortality increases. If you have a tournament during the summer months, throw in some wind and wave action, and hours in a livewell, the mortality rates for even a live release format tournament can be significant! Under those conditions tournament mortality for walleyes can be well over 50%, and in the worse cases tournament mortality can near 100%. Now I know you catfish and bass tournament anglers are thinking “yeah, that is for those wimpy walleyes”, but I am telling you that during the summer months tournament mortality for bass, catfish or any other species will be significantly higher than during the months when the water is cooler. So who cares? Afterall, the harvest or mortality due to tournament anglers is a small percentage of the total mortality or total harvest for any population, AND the tournament anglers are releasing at least some of their fish alive. What difference does it make if a few fish die after the weigh-in? Here is why it is important–“Perception is reality”. If some non-tournament angler shows up the day after a tournament and sees a couple of dead fishing floating where the weigh-in was held, the perception will be that those darned tournament anglers caught and then killed every fish in the lake. And to make it even worse, they killed all those fish and then just threw them back in the lake to go to “waste”! I know tournament anglers are very concerned about the health of their fisheries, and I know they are involved in the care of those fisheries, but if just a few fish show up dead after a tournament, that ain’t the perception the non-tournament crowd has. So what about summer tournaments, especially during the months of July and August? Live release tournaments held during those months will have some fish mortality and in some cases that mortality will be significant. Should tournament anglers be concerned about that? Should they modify their tournament schedules or rules? Should they care about how they are perceived? There are some states that prohibit some if not all tournaments during the warmest parts of the year. There are other states that will only allow summer tournaments on a few select waters and then they require that the fish be harvested during those summer tournaments. 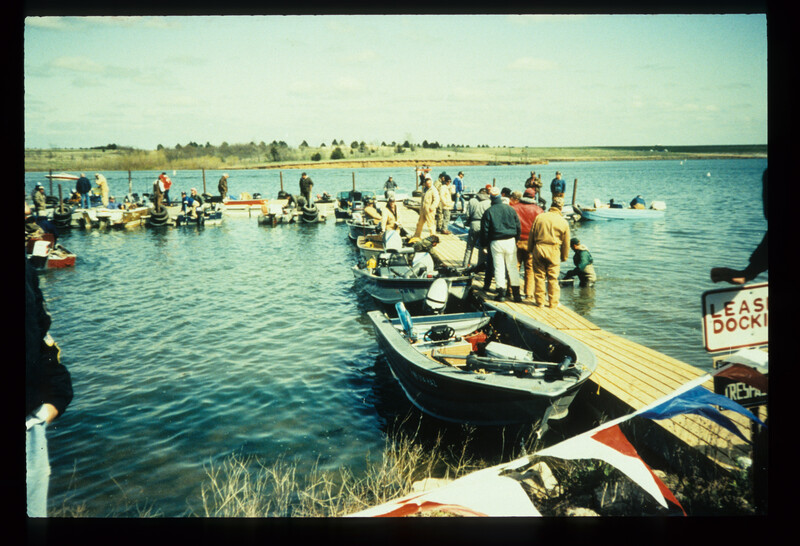 I stated many paragraphs ago that we have not imposed any special regulations on fishing tournaments in Nebraska nor have we granted any special exemptions. I believe that is the right way, best way, to regulate tournaments, but if other anglers perceive that the tournament anglers are causing harm to our resources or “wasting” fish, they could push for stricter regulations. That is exactly how summer tournament restrictions came about in other states. Am I saying there should be no summer, live-release format tournaments? Yes, I think that is a valid option that should be seriously considered. But, I do not believe that is necessarily the only option for summer tournaments. 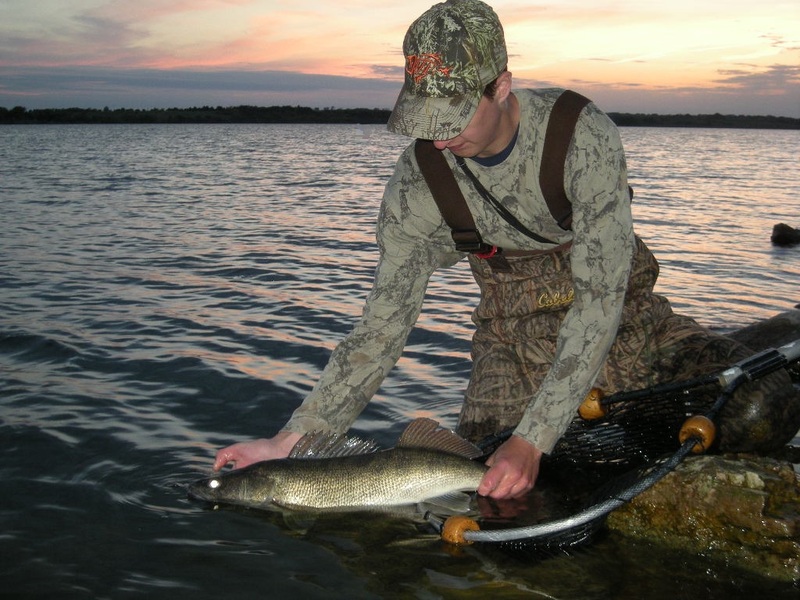 If you want a fish to survive following release the best thing to do is land that fish as quickly as possible, keep it in the water as much as possible, handle it as little as possible and get it back in as soon as possible. Can a tournament be structured around that rule of thumb? How about measuring the length of the fish and then releasing it immediately? If you have to know total weights, those can be calculated from the length measurements. How about digital cameras for all contestants who then bring back photos for the weigh-in? If you insist on the live release format and the big weigh-in, how about mandatory weigh-ins every couple of hours? The less time those fish spend in a livewell during July and August the less the tournament mortality will be. Please do not think I am writing this blog post as some kind of threat or warning. There are no changes in tournament regulations that are imminent in Nebraska that I am aware of. But I would ask all tournament anglers and organizers who are reading this to consider it as a plea. I would prefer that we never have additional regulations placed on fishing tournaments in Nebraska. Take a look at your schedules and tournament rules in light of the fact that you will have fish mortality during summer tournaments. Especially keep in mind how you are perceived by non-tournament anglers and even the general public. The technology is available, there are lots of different ways of doing things, see what you can come up with. And remember, “perception is reality”. Daryl,that was not directed toward you, but to anglers asking the questions. No problem, Ray. Thanks for the comments! Great article and it should be taken into consideration. I personally fish walleye tournaments and have seen this first hand just a couple of weeks ago, where we had a small percentage of Fish that went belly up as soon as they were released how every we netted this fish back up and cleaned them, not to say that more didnt surface later. The second day of the tournament most anglers noticed this trend and were bringing there fish in early to weigh in. I have to give credit to Team Jacob & Gene Brugemen that brought each of their 5 fish in to be weighed and released as soon as they caught them risking loosing there honey hole. Many angle use methods of Fizzing and extra oxygen in the live wells but I feel the best method is just to bring the fish in as soon as you feel nesecarry. Of course thats easier said then done while tournament fishing time is money so it’s paramount that the organization emphasis this method as well as your fishing partner being on board with your standards…. My Bass Club uses a point system. We measure the fish in the boat and points are assigned based on length over 12 inches (55 points) to 25 inches (388 points). Top 5 fish scored is the total score for the angler. All fish are released after measurement.